The four transgressions, which must be avoided are (1) Dishonouring the hair, (2) Eating Kuttha, (3) Intimate relationship with a person other than one’s spouse, and 4) Using tobacco (i.e. intoxicants). The question is, what is Kuttha? While Sikh scholars have defined Kuttha in modern times to mean “meat slaughtered in the Muslim way” or “Halaal meat”, the other interpretation is “slaughtered animal” or “killed animal” (viz. meat). As a result of this difference in interpretation, some Sikhs understand the word â€œKutthaâ€ to mean Halaal meat as opposed to meat in general. In the early 1990s when the SGPC was searching for the consensus to form the Panthic Sikh Rehat Maryada, the majority of the Panth (unlike today) ate meat or believed eating meat was acceptable, however this knowledge was not based on deep Gurbani study as most people were illiterate. There were strict vegetarians at the time, the majority being the Sikh saints, however they too did not force their view upon the masses or the Panthic scholars because eating flesh was socially accepted. The SGPC added a footnote to the word “Kutthaa” to state it meant meat slaughtered in accordance to the Muslim tradition. Many prominent Sikhs did not sign the drafted Maryada, even though they had participated widely in various deliberations. The absence of appropriate dietary recommendations in the Maryada was one of the main reasons. Also, as noted by some Sikh scholars, proper records of Sikh history, meanings of Gurbani, influence of social circumstances and role of other religious forces were not properly understood in the late 1800s and early 1900s. In the past 60 years the common Sangat’s knowledge of Gurbani and Gurmat has increased with a wider access to understanding Gurmat through books, TV, radio, Internet, kathaa and santheyaa given at Gurdwaras. Now the majority of the Panth believes eating any type of meat is unacceptable, if the same discussions were held in regards to the Maryada then it would be certainly changed to as it should be. If killing living beings is bad then is killing pest and insects okay? Kabīr bẖāŉg mācẖẖulī surā pān jo jo prānī kẖāŉhi. Note: Through the Revealed Word of God, Bhagat Kabir Ji explains to himself to instruct the world about the prohibitions in religious discipline (kurehits). It is false to believe that this salok (hymn) only prohibits the consumption of cannabis, fish and alcohol. One has to look beyond the surface level and dive deeper into Gurbani. Guru Ji cannot make a vast list of drugs, foods and wines that one is forbidden to eat or drink. This would be a waste of time. Instead Guru ji categorises drugs, meat/flesh/killed animals and wines/alcohol under three general categories which represent all products associated and in the same category. The category of ‘cannabis’ or ‘bhung’ includes opium, heroine, tobacco, and all drugs whether inhaled, eaten, smoked or injected through needles. The category of ‘fish’ includes all killed animals whether sea or land animals and allied products like egg, i.e. all meat and flesh. The category of alcohol or wine includes all types of alcohol whether beer, whisky, rum, brandy, or any type of wine etc. Gurbani is not prohibiting drugs, meat and alcohol to only Sikhs. It is clear that Sri Guru Granth Sahib Ji is addressing everyone, i.e. Muslims, Hindus, Christians, Sikhs and the whole world. Guru Ji is addressing everyone and not only Sikhs. For Hindus, pilgrimage is bathing at the sixty-eight sacred places revered across India. For Muslims, pilgrimage is going on Hajj, i.e. visiting Mecca. For Christians, pilgrimage is visiting Bethlehem and Jerusalem. For Sikhs, pilgrimage in a physical sense is visiting Sri Harimandir Sahib (also known as the ‘Golden Temple’) in Amritsar as well as other historical Gurdwaras in India and Pakistan, but in a spiritual sense pilgrimage means travelling from your mind to one’s soul through bathing and immersing oneself in Naam. Hindus keep fasts on certain days related to their deities as an act of penance. Muslims observe ‘Roza’ or a fast during the month of Ramadan. Christians keep a fast or give up certain foods during ‘Lent’ (before Easter). Sikhs observe the permanent fast of not telling lies, not cheating anyone else or stealing the wealth of others. Hindus perform daily rituals (puja) and chant devotional prayers as part of their daily routine. Muslims perform five prayers (namaaz) as part of their daily routine. Christians say the Lord’s prayer as part of their daily routine. Sikhs wake up Amrit-vela (the early ambrosial hours) and repeat and meditate upon Naam (the Divine-Name) followed by reciting the five prayers of the morning, and reciting Rehraas Sahib in the evening and Sohila Sahib before bed. Again, Guru Ji talks about everyone. There are no exceptions. Sri Guru Granth Sahib Ji, the Pefect True Guru, the Complete Truth, the Word of God, the Universal Truth, instructs us that if anyone (irrespective of faith or background) consumes drugs or intoxicants, eats any fish or meat, or drinks any wine or alcohol then all their pilgrimages, fasts and religious practices and prayers lose their value and become worth nothing. That person becomes worthy of hell and reaps no benefit from his religious commitments and efforts. This salokh on ang (page) 1377 is crystal clear that a Sikh is prohibited from eating meat or any flesh. Anyone who accepts and has full faith in Sri Guru Granth Sahib Ji as their Satguru will not doubt Gurbani. With one Hukam from Gurbani a Sikh accepts and obeys. On the other hand, a Manmukh would continue to ask for further proof or evidence and remain unsatisfied and unwilling to submit to the instructions of Satguru. Cow’s throat being slit for blood to slowly pour out in accordance to Islamic law. Halaal meat is meat obtained by the Muslim method of slaying an animal. This method of slaughtering animals consists of a swift, deep incision with a sharp knife on the neck, cutting the jugular vein and carotid arteries of both sides but leaving the spinal cord intact, while reciting religious prayers. Muslims claim that this is the most humane method of animal slaughter. A goat being slaughtered by a modern day ‘Sanatan’ Sikh. Some Sikhs who choose to eat meat argue that one of the Bajjar Kurehits (cardinal prohibitions) is to eat Halaal meat as opposed to eat meat in general. The primary reason for this is that Halaal meat is considered a cruel way to kill an animal due to the length of time it takes for the animal to die. Sikhs generally hold the view that the Halaal method of slaughter is indeed cruel. Other groups such as the The Farm Animal Welfare Council (FAWC), which advises the UK government on how to avoid cruelty to livestock, hold the same view and say that the way Kosher and Halaal meat is produced, causes severe suffering to animals. In addition, the Humanists movement, which has previously called for the abolition of ritual slaughter, says ethical values should be put above religious ones. Sikhs do believe it is good practice for society to move away from this type of ritual slaughter of an animal. But below is presented evidence from Sikh scriptures and edicts from the Gurus that encourage and promote a lacto-vegetarian diet as the best for a human being. Kutha: (ਕੁਠਾ) adj (from Punjabi Kohana) Slaughtered. bajar kuthaar mohi hai chheenaaN kar minat lag paava-o. The Lord has cut down the crooked tree of my deceit. The word “Kuttha” (ਕੁਠਾ) appears in Sri Guru Granth Sahib Ji a number of times. Kuttha can have two meanings: either to butcher, kill or destroy or alternatively, it can mean meat (the product of killing, butchering, destroying). The root of “Kuttha” is “Kutthaar” or axe. A word that operates like “Kuttha” is “muthha” which refers to the act of looting and also the product of looting i.e. “the loot”. In this way, Kuttha can mean, “to butcher/ kill/ destroy” and also refers to the product i.e. “butchered meat”. It cannot by any means refer to Halal meat or Muslim meat. Everyday we kill countless organisms just through breathing or stepping, but that is much different than Kuttha. Kuttha is the meat of an animal that has been ‘butchered’ and then ‘intentionally’ eaten. If we look at the lives of the Gurus we should try to emulate as much of them as possible because we regard their lives as ideal living, then this should be part of it. Historical edict hand written by Guru Hargobind Ji. The last line clearly says not to go near meat or fish. This can’t be just a hoax because all Hukamnamas collected issued from the bear this order. The reason for issuing such an edit proves that historically some followers of the Sikh religion have hunted for eating meat and consumed flesh. But this was not in accordance to Sikh teachings and therefore, to clear the doubts of the Sikhs. The Guru and his Sikhs hunted to defend villages and people from dangerous animals and also to give selected animals salvation who had previously been Sikhs of the Guru or had dealings with them when they were in the human life. Unfortunately, some Sikhs misunderstood this and began to hunt for killing animals for food. As a result of this Guru Hargobind Ji issued the edict above. A modern-day Nihang removing the skin of a killed goat, contrary to Gurmat (the Guru’s teachings). “I was eating ‘Ak’ and ‘Dhatura’ plants (weed plants found in India) for whole of my life, to which no body else liked to eat. And even then I am being brutally killed and my skin being ripped, What will happen to those who cut my throat and eat my meat? “One who does not steal, commit adultery, slander anyone, gamble, eat meat or drink wine will be liberated in this very life (i.e. Jeewan Mukt)”. Simply by avoiding meat as food no one can become holy person. One can become a religious person only by leading a pious life and simply by practising the rituals or by renouncing certain foods. Religion is far more deep and is about leading towards union with Vaheguru through Naam. Another reason linked to why a Sikh doesn’t eat meat is compassion. Mercy evaporates when we butcher and eat meat. A carrot may have life but it will never run away screaming when you go to the garden to get it. Guru Sahib is clear in Gurbani that life must sustain itself on life. There is no lack of mercy or daya (mercy) exercised when cutting a vegetable as it does not reacts to being cut. Contrast that with animals. 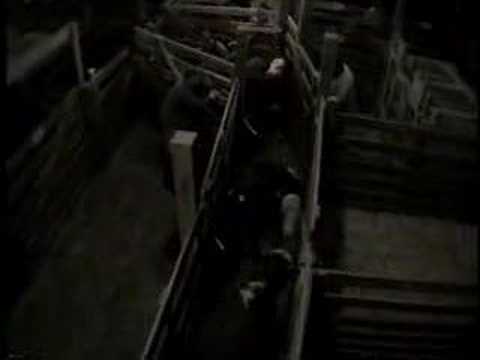 These animals beg and cry and little calves cling to their mothers in terror when they sense they will be slaughtered. Guru Nanak Dev Ji simply tells us that if blood stains our clothes are clothes become dirty and polluted, and the mind’s of the people who drink blood also becomes dirty. Therefore, blood is considered as unpleasant thing to drink. Blood can be obtained be killing any living being – whether man or animal through butchery, torture or slaughter. Guru Ji tells us that a cold-hearted person cannot maintain a pure mind, only a compassionate person can have a pure mind. Plants have no nervous system. Plants are a life form that can’t feel pain. Animals are not as such. The word “gardener” has no pejorative connotation. The word “butcher” on the other hand stands for someone who has no mercy. If one’s heart doesn’t melt at seeing the shrieks and anguish of animals, why would it matter when a human does the same? Why is it Muslims can do Halaal on humans? It’s because they have so much experience with animals that the jerking, gasping of dying animals and blood is something usual for them. A butcher will have the heart of a butcher. A butcher can never be a ‘Dharmee’ (spiritually pious) person. Meat is disease-ridden and is a dirty thing to eat. The vegetarian diet is known to be light on the digestive system and easy to digest. In modern times, medical practitioners and dieticians alike have emphasized the virtues of vegetarian diet. In the western world, vegetarian diet is increasingly becoming popular in recent years. The Guru is addressing a Vaishnav Pandit (scholar) who believes that he can achieve Nirvana (a state of liberation) only by avoiding meat as food and not trying to obtain the true wisdom through meditation. The Guru has stressed that only avoiding meat will not lead one to the achievement of Spiritual Bliss. Guru Sahib exposes the Panditâ€™s hypocrisy and double standards. The fact is that a human’s own flesh is exactly like that of meat. Observing surgery or perusing internal medicine books, one notes that we are the same substance. That’s why Guru Nanak Sahib Ji has said not to hate meat. We are meat. But at the same time we cannot eat it because it would be like eating a dead body. It’s foul and unthinkable. Vegetarianism by itself cannot confer spiritual merit or lead to the door of salvation (mukti). Spiritual achievement depends on Saadhana or religious discipline. However, it has been observed that a vegetarian diet helps to keep a healthy body and a healthy body makes a healthy mind. To practice hypocrisy, enter futile arguments, harbour hate for others or believe salvation rests in mere rituals or practices other than meditating on Naam (the Name of the Lord) is condemned by the Guru. The word ‘Kuttha’ used in the Sikh Code of Conduct does not refer to Halaal or sacrificial meat at all, but refers to meat and allied products as a whole. It means simply to slay or cut the animal irrelevant of the method of slaughter. The use of the word in the same sense at a number of places in Gurbani brings out this point beyond any shadow of a doubt. Accordingly, eating flesh in general (and not only Halaal) is totally prohibited for the Sikhs and is one of the four Bajjar Kurehits (cardinal prohibitions) in accordance to Gurmat (the Guru’s teachings). « What is the Sikh attitude towards using one’s surname or family name? Vahegru Ji this is so great and I am so glad to look at this information. Vaheguru Ji Bless you all who are doing a good work for the Panth. What kind of food should we eat? is it ok to eat meat? If we should not eat meat then why do we eat plants while both have life? 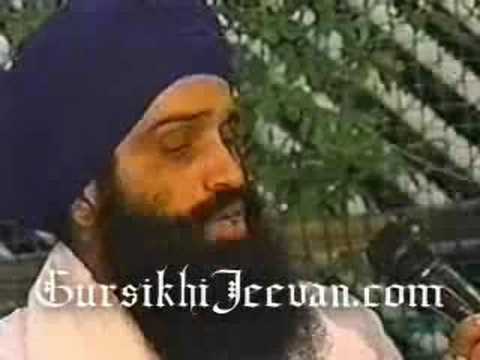 Vaheguru ji ka khalsa Vaheguru ji ki Fateh. very good job to show right path. Hope it will remove confusion among innocent peoples who become non veg due to false information being given on sikhism by oversmart persons. Maharaj had preached kauda rakshas to leave jeev hatya but unfortunately we ourself have started that path. Greak Work !! We need these types of articles published in Newspapers and Magazine. Information should be distributed in Schools so that nobody has doubts about the religion. If its forbidden(not recommeded) to eat meat accordingly to Guru Granth Sahib JI. Why do you have photos of sikhs killing a coat and taking the skin of the animal? If you truely belive in Guru Granth Sahib JI please remove this pictures its against our belief. I dont want my religion to represent this. Sikhs are meant to be vegetarians. I cant see the view of a sikh killing an animal and taking of the skin of the animal. You are going against our True Gurus teachings. Hinduism is an old religion with some good but much bad, including the caste system, inequality of men/women, etc. The idea of detachment, karma, and yoga/meditation is good. Buddhism came along some 2500 years ago and simplified Hinduism and had the 5 precepts, 4 noble truths, and 8 fold path. Sikh Gurus came and spoke more recently and directly to all, but unfortunately their message was only received by a select few. Sadly, recent times have found much persecution because any new message is likely to be criticized. However, Sikhs continue to spread good will throughout the world, providing free vegetarian meals regardless of someone’s social status, gender, etc. at the same level (everyone sits together humbly on the floor). I find the Sikh writings to be such a gem of wisdom and comfort, and the songs to be the divine Voice giving comfort to all. I find Sikh women to be the most strong, confident and happy women because of the repeated teachings to value women and respect them. Lastly my friends, I want to present something. In the writings above, the message is to reduce suffering and be kind to animals. Vegetarian in India usually means to eliminate meat; however many continue to consume eggs and most continue to consume milk. Now there was a time when this was OK for the animals, because eggs were gathered from chickens roaming free and milk was gathered from a cow lovingly taken care of by a family and the calf was allowed to suckle and every day remainder of the milk was taken for the household children but with modern methods the animals are milked and eggs gathered to the point of exhaustion, and for cows, male calves are forcibly taken away and killed because we have no use of bullocks for labor because of trucks and heavy machinery, and for chickens since there is no use of male chicks they are usually killed soon after being born. Cows do not “give” milk unless they are made to be pregnant every year, and usually only live for 5-6 years instead of the usual 20-25 years. If you don’t believe this then you can do your own reading. Remember there would be no veal (baby calf meat) if there was no milk. India is the largest exporter of beef and also significantly leather for a reason. While beef may be prohibited in India, it is readily shipped across the borders. Without demand for milk, there would be no beef. Nourishment can be obtained readily by lentils and rice (Bhagat Kabeer said that “Khoob khana hai kichadi” remember? He did not say “khoob khana hai paneer/ghee/doodh”) But seriously, if the grains were not fed to the cow to give the milk, then more grain could be given to people. Raising cows is a very expensive way to obtain calories in the form of milk. Milk is for baby cows not for adult humans. Now on the other hand, if humans really needed milk or eggs you could justify the above by saying that it’s either an animal’s life or a human’s life. However, we have great alternatives for milk and eggs such as soya milk which is nutritionally superior to cow’s milk and reduces heart disease instead of promoting it like milk. Diabetes is also worsened by cow’s milk. Buffalo milk in India is actually twice the fat of cow’s milk. Maybe there was a time in history when milk was needed because of the extra fat and energy but my friends, it is no longer necessary because we don’t work in the fields with our hands and feet for 12-14 hours a day anymore. As far as eggs, if you like your morning omelette, let me suggest you get some besan, put about 3 tbsp of it in a bowl, and mix some ground flax seeds (about 1 tbsp); put enough water to make it into a nice batter, then putting your favourite Indian spices such as kala namak, ajwain, jeera, dhania, and if you wish, put onion and hari mirch and tomato. Then pour it on a hot tawa and wala! You have a nice besan “cheela” which is nutritionally superior to artery-clogging eggs. It is high in protein and fiber and a perfect substitute. Have it with some homemade soya-yogurt raita and you have a wonderful vegan breakfast. Soya milk is easily made and cheaply too at home, and soya yogurt is easily made; I make it every week from my previous batch. Please, my dear friends, go to this website for more inspiration, I urge you to try it for 3 weeks at 21daykickstartindia.org and you will see how it’s so good for you. If you want more info on the health benefits, go to You Tube and watch a video search for “Dr. Agarwal Khana Badlo Jeevan Badlo”. I can tell you the diet above reduces blood sugar, improves cholesterol, and gives youth and vigor to a body. You won’t lack for anything (the only things I suggest to take are vitamin b12 and vitamin D3), and after a few months it will come easy. Just get out the oil/butter/ghee also for even better health. No need to eat fried foods. If you follow the above you are respecting the traditions of the Gurus and preserving the Earth for the future, and reducing as much as possible, human and animal suffering, including your own from chronic disease. Guru Granth Sahib ji has prohibited eating meat at all in so many slokas. not Sikhs and don’t follow their gurus or Guru Granth Sahib ji. They are just hypocrites and just bow their heads before guru granth sahib and actually they in true sense don’t have any respect for what is written and preached in guru granth sahib ji. 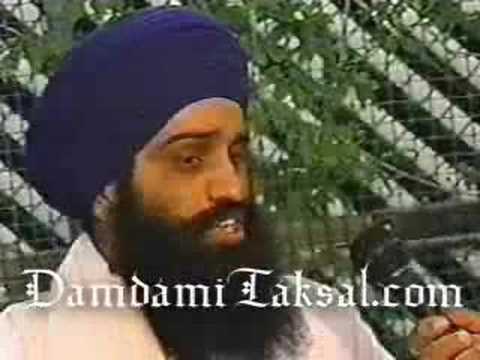 I pray to Guru Nank Dev ji to help my Sikh brothers ,sisters see sense and be TRUE SIKHS. Very informative about the teachings of Sikh Gurus. I have great respect for Guru Nanakji and now I am very happy to know that he guided against eating meat and killing animals. These days veganism is getting popular. Soya milk is presented as the alternative to animal milk that has now attached to it the tag of cruelty. But that is mostly imported and not available on mass scale to us. So should we conclude that the possibility of getting animal milk without cruelty is over now? Don’t confuse goodness of milk and milk products with barbarism of meat eggs and fish. Cows must be treated with love and affection. Without milk one becomes deficient in B12 without which nervous system fails. Those who are not vegetarian are unworthy of milk and milk products. Nonvegetarians must be sterilized – people who eat animals are dangerous and literally stink – they are living graveyards. Veganism is antidharmic – love and protect cows. Personally I avoid langar as it might be prepared by nonvegetarian hands. This article is incorrect when it states meateating was socially acceptable in Panjab. In beloved Bharat the only accepted diet has is and always will be is the vegetarian diet – no meat, no fish, no eggs. Milk and milk products (and gau mata) are held in high esteem. We need to create ahimsa dairies with protected cows, bulls and calfs.